These Terms may be updated or revised by San Francisco Parks Alliance (“SFPA”) from time to time without notice to you. Any changes to these Terms will be effective prospectively upon their posting to this website. If you disagree with these Terms, your sole remedy is to discontinue your use of this website. You are expected to exercise caution, good sense and sound judgment in submitting information about an event to be posted to sfparksalliance.org. You are responsible for any information that you submit. You agree, represent and warrant that any information you post is truthful, accurate, not misleading and offered in good faith, not invasive of another’s privacy; abusive; threatening or obscene, not infringing upon the copyright; trademark or other intellectual property rights of others, and that you have the right to post or transmit such information. The content of such information, whether publicly posted or privately transmitted, is your sole responsibility. You must not submit any material to be posted to sfparksalliance.org that you consider to be confidential or proprietary. Any material that you submit to be posted will be considered non-confidential and non-proprietary. This policy serves to avoid potential misunderstandings or disputes regarding ownership of ideas. You may delete any of your submitted postings at any time by pressing the delete button in your confirmation email or, for Registered Users (defined below), the delete button at the bottom of your event post form. If you place a link on your website to a Website event or pre-loaded search query, please use the URL and “Website events” button available on the FAQ page of this website. There are portions of this website that we make available to users in the general public without registering and you may visit or browse those portions without charge or obligation. Certain sections of The website are available only to users who have been granted user IDs and passwords (“Registered Users”). If you are a Registered User, you agree to accurately maintain and update any information about yourself that you have provided to SFPA. You also agree to promptly notify us of any unauthorized use of your username, password or any other breach of security that you become aware of involving or relating to this website by emailing us at feedback@sfparksalliance.org. The content on this website, including without limitation, any text, software, graphics, and photos, and any trademarks, service marks and logos contained therein (collectively “Materials”) are owned by or licensed to SFPA, subject to copyright, trademark and other intellectual property rights. Unless otherwise noted, no Materials from this website may be copied, reproduced, republished, uploaded, performed, distributed, displayed, posted, transmitted, or used to create a derivative work in any way without written permission of the rights owner, except that you may use information purposely made available by SFPA for downloading from this website, provided that you (1) keep intact all copyright and other proprietary notices, (2) use such information only for your proper informational purpose and do not copy or post such information on any other website or broadcast it in any media, (3) make no modifications to any such information, and (4) do not make any additional representations or warranties relating to such information. You agree not to circumvent, disable, or otherwise interfere with any security related features of this website or features that prevent or restrict use or copying of any Materials or content. Permission for all other uses of Materials contained herein must be obtained from SFPA or the appropriate rights owner in advance; otherwise, such use is prohibited. All design rights, databases and compilation and other intellectual property rights associated with this website, in each case whether registered or unregistered, and related goodwill, are proprietary to SFPA. You represent, warrant and agree that all materials submitted through your account or otherwise posted, transmitted, or shared by you on this website, including but not limited to text, software, graphics, and photos, and any trademarks, service marks and logos contained therein (collectively “Submitted Materials”), will not violate or infringe upon the rights of any third party, including copyright, trademark, privacy, publicity or other personal or proprietary rights; or contain libelous, defamatory or otherwise unlawful material. There are a number of proprietary logos, service marks, and trademarks found on this website that are the property of SFPA. By making them available on this website, SFPA is not granting you a license to use them in any fashion. Except as provided in these Terms, no trademark or service mark may be used as a hyperlink without SFPA’s prior written permission. This website is intended for use by persons over the age of 13. SFPA does not seek to collect information about children under the age of 13. If you are under 13 years of age, please do not use or access this website at any time or in any manner. By using Www.sfparksalliance.org, you affirm that you are over the age of 13. As you view this website, you may notice links to third-party websites. These links are for convenience only. If you use these links, you will leave this website. Certain of these linked websites may make use of SFPA’s proprietary intellectual property rights under license from SFPA. SFPA makes no representations whatsoever about any website that you may access through this website. SFPA is not responsible or liable for the content, advertising, products, services or other materials of these other websites or for any viruses or other damaging elements encountered in linking to a third-party website. In addition, providing links to these websites should not be interpreted as endorsement or approval by SFPA of the organizations sponsoring such third-party websites or their products or services. These Terms do not apply to any other websites. SFPA DOES NOT WARRANT OR MAKE ANY REPRESENTATIONS REGARDING THE USE, VALIDITY, ACCURACY, RELIABILITY OF, OR OTHERWISE RESPECTING THE CONTENT AVAILABLE ON THIS WEBSITE OR ANY OTHER WEBSITES LINKED TO OR FROM THIS WEBSITE. ANY MATERIAL DOWNLOADED OR OTHERWISE OBTAINED THROUGH THIS WEBSITE IS DONE AT YOUR OWN DISCRETION AND RISK. THE CONTENT OF THIS WEBSITE IS PROVIDED "AS IS" AND ON AN "AS AVAILABLE" BASIS, WITHOUT WARRANTIES OF ANY KIND EITHER EXPRESS OR IMPLIED. TO THE FULLEST EXTENT POSSIBLE PURSUANT TO APPLICABLE LAW, SFPA DISCLAIMS ALL WARRANTIES, EXPRESS OR IMPLIED, INCLUDING, BUT NOT LIMITED TO, IMPLIED WARRANTIES OF MERCHANTABILITY, FITNESS FOR A PARTICULAR PURPOSE, NONINFRINGEMENT OR OTHER VIOLATION OF RIGHTS. SFPA WILL NOT BE LIABLE FOR ANY DAMAGES OF ANY KIND ARISING OUT OF OR RELATING TO THE USE OR THE INABILITY TO USE THIS WEBSITE, ITS CONTENT OR LINKS, INCLUDING BUT NOT LIMITED TO DAMAGES CAUSED BY OR RELATED TO ERRORS, OMISSIONS, INTERRUPTIONS, DEFECTS, DELAY IN OPERATION OR TRANSMISSION, OR ANY COMPUTER VIRUS OR LINE FAILURE. SFPA WILL ALSO NOT BE LIABLE FOR ANY INDIRECT, SPECIAL, INCIDENTAL, EXEMPLARY OR CONSEQUENTIAL DAMAGES, EVEN IF SFPA HAS BEEN ADVISED OF THE POSSIBILITY OF SUCH DAMAGES. SOME JURISDICTIONS DO NOT ALLOW THE EXCLUSION OR LIMITATION OF INCIDENTAL OR CONSEQUENTIAL DAMAGES, SO THE ABOVE LIMITATION OR EXCLUSION MAY NOT APPLY TO YOU. You agree to indemnify, defend and hold SFPA and its directors, officers, employees, agents and contractors harmless from and against any and all claims, damages, losses, costs (including without limitation reasonable attorneys’ fees) or other expenses that arise directly or indirectly out of or from (i) your breach of any provision of these Terms; (ii) your activities in connection with this website; or (iii) your Submitted Materials. SFPA, in its sole discretion, may terminate or restrict your use or access to this website (or any part thereof) for any reason, including, without limitation, that SFPA believes you have violated or acted inconsistently with the letter or spirit of these Terms, or any other terms, conditions or rules contained within this website. The provisions of these Terms concerning website security, prohibited activities, copyrights, trademarks, Submissions, disclaimer, limitation of liability, indemnity and jurisdictional issues shall survive any such termination. SFPA makes no representation that the content on this website are appropriate or available for use in other locations. Those who choose to access this website from other locations do so on their own initiative and are responsible for compliance with local laws, if and to the extent local laws are applicable. Access to this website from jurisdictions where the contents of this website are illegal or penalized is prohibited. Notices to you regarding these Terms may be made via email. SFPA may also provide notices of changes to these Terms or other matters by displaying notices or links on this website. By choosing to visit this website or otherwise provide information to SFPA, you agree that any dispute over your use of this website or these Terms will be governed by the laws of the State of California. You also consent to the adjudication of any disputes arising in connection with our website in the state and federal courts of San Francisco County in the State of California. Please report any violations of these Terms to SFPA by sending an email to parksportal@SFPA.org. If you have any questions or complaints regarding these Terms, please submit your questions or complaints to parksportal@SFPA.org. We will endeavor to respond to you promptly. © 2012 San Francisco Parks Alliance. All Rights Reserved. 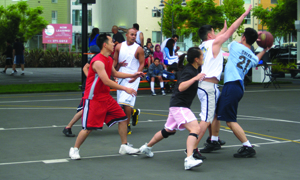 In general, you may visit sfparksalliance.org without revealing any personal information. However, if you choose to post an event to sfparksalliance.org, you must provide your name and email address. We store this information indefinitely in a database. Also, certain sections and features of our website are only available to registered users. Those sections or features may only be accessed by providing your first and last name and email address, and by entering a unique user ID and password. We also store this information indefinitely in a database. We may use your email address to send you periodic news about SFPA, promotional materials about SFPA, and information about events posted on sfparksalliance.org, unless you inform us that you would like to opt out of receiving such communications by clicking on the “Safe Unsubscribe” link at the bottom of such emails, or emailing us at feedback@sfparksalliance.org. We may send you certain communications relating to your use of sfparksalliance.org, such as administrative messages and communications regarding your application or account, without offering you the opportunity to opt out of receiving them. As with most websites, our website collects and stores usage information that is generated automatically as you navigate through the website. This aggregate information is collected site-wide, and includes anonymous website statistics. In addition, when you browse sfparksalliance.org our system automatically collects information such as your web request, Internet Protocol (“IP”) address, browser type, browser language, domain names, referring and exit pages and URLs, platform type, number of clicks, landing pages, pages viewed and the order of these page views, the amount of time spent on particular pages, the date and time of your request and one or more cookies that may uniquely identify your browser. If you are a registered user, we may also collect and store your user name and information about your visit. This information is used to analyze trends, administer our website, improve the design of our website, track user movement, and otherwise enhance the services we provide. Our website also employs browser cookies to store user preferences and record session information. “Cookies” are bits of information that are stored by your browser on your hard drive. This technology allows for the storage of user preferences and remembers you when you take action on our website. You can turn off the “cookie” function at your sole expense and responsibility through most standard browsers. SFPA will not sell, trade or rent your personal information to others. However, we may share your personal information with SFPA’s third-party service providers engaged to assist us with creating, supporting, managing or improving the website and/or our services, as well as third-party service providers engaged to create SFPA’s e-newsletters and other communications. We also may provide to reputable third-party vendors aggregate statistics about users of the website, including traffic patterns and related site information, but these statistics do not include personal information. 13, we will promptly delete such information from our databases.